Hilde Van de Walle is described in art as a multidisciplinary artist. In a period of 30 years she collects an extensive and highly appreciated oeuvre of graphics, painting, ceramics and monumental bronze. Hilde was born in Ruisbroek in 1957. After her studies at the Higher Sint-Lucas-Institute in Ghent, she followed 4 years of free graphics and 1 year finality chart, which earned her a government medal. After the graphical training she still enjoyed a 4 year ceramics course and she perfected herself in the matter of casting bronze. 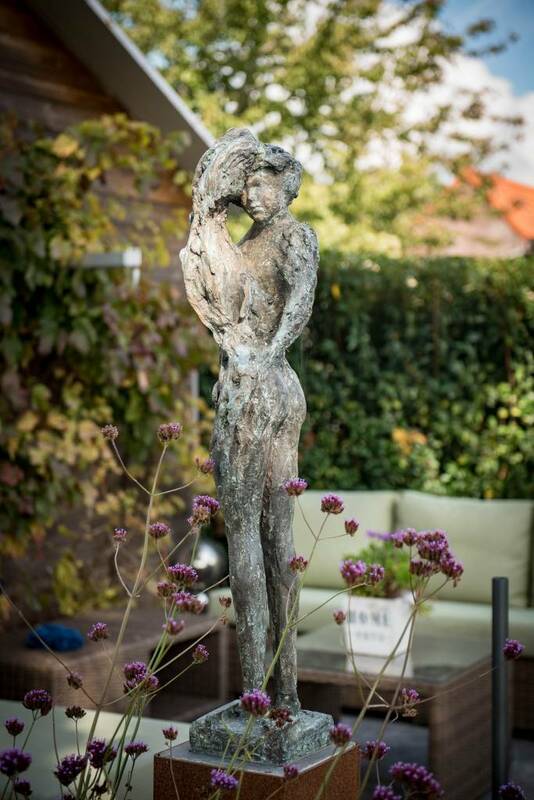 Her oeuvre includes sculptures in bronze and polyester. She worked as a lecturer in spatial design at the Arteveldehogeschool in Ghent. 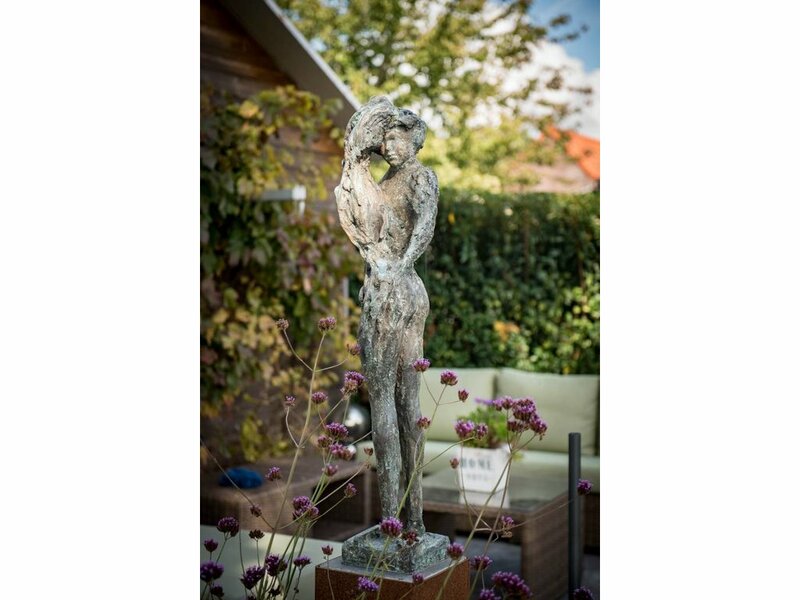 She participates in exhibitions at home and abroad and her oeuvre can be seen in numerous public places in Belgium such as Machelen (Brabant) 2017, Houthulst (W.Vl.) 2011, Venlo NL 2007, Eke Nazareth (O-Vl. ) 2006, Herk-de-Stad (Limburg) 2005, Steendorp (O-Vl.) 2002, Schoten (Antwerp) 2000. "Her sculptures are human figurations that she deliberately models in her own visual language. Sometimes arms, legs or a torso are fragmented and re-assembled on the sculpture in a different way. She deliberately chooses every omission in the image. The resulting open spaces come into dialogue with the physically existing image fragments. Both form a dialogue with each other and are read by the viewer as a symbiosis and a whole. With her sculptures, Hilde Van de Walle does not want to represent a literal representation or rendition of a feeling, her great motive is to stimulate the spectator in a subtle and poetic way to dialogue without the image imposing itself. Showing the unmeasurable in an image remains her passionate quest. "